organicum Shampoo (normal to dry hair) – for daily washing – keeps your hair strong and healthy, thus it will be more stress-resistant. The increased regeneration of dull hair, especially due to permanent chemical treatment or extensive colouring, will be noticeably supported. 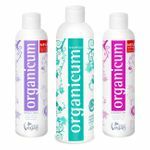 organicum Shampoo provides maximum regeneration and protection for stressed hair without using silicone. By using our special recipe of organic Hydrosol and a fine-tuned vitamin-mineral-komplex common problems of hair and scalp, such as dandruff, eczema, seborrhoea, psoriasis as well as alopecia can be prevented. In 2008, organicum Shampoos was subject of a panel study at Anadolu University of Eskişehir, Turkey. PD Dr. Yasmin Yazan of the Faculty of Pharmacy, Department of Cosmetology lead the subjective evaluation test, by which volunteer subjects applicated and tested organicum Shampoo for a period of one month. The conclusion of this study indicates that the characteristics, the quality and overall impression of organicum Shampoo were above average. You can download the paper of this clinical study here. organicum shampoo does not contain silicone, alcohol, palm oil, lanolin (wool fat), ALS, SLS, EDTA, paraffin derived from mineral oil (or other petroleum derivates), gelatine, colourants, paraben or any kind of animal products – it's 100 % vegan. The official seal 'crueltyfreeandvegan' was bestowed upon organicum by PETA in 2013.
organicum Shampoo contains hydrosol (distillates) of stinging nettle, rosemary, lavender, sage plus orange oil. 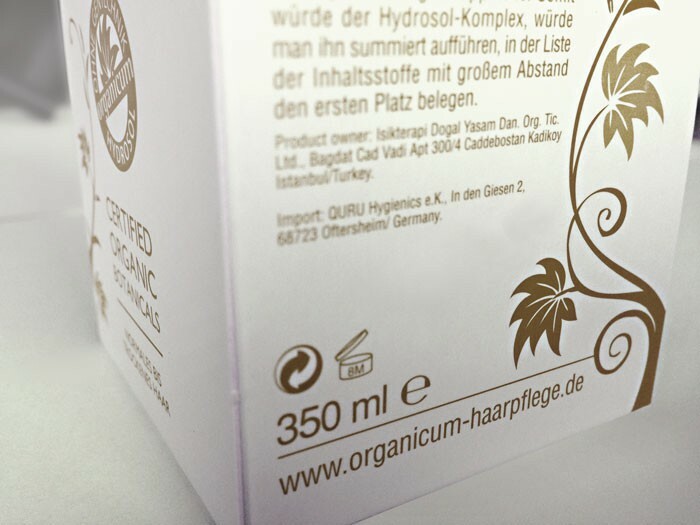 Total amount of organic hydrosol in organicum Shampoo: 38 %. organicum Shampoo does not contain: silicone, alcohol, palm oil, lanolin (wool fat), ALS, SLS, EDTA, paraffin (derived from mineral oil) or other petroleum derivates, gelatine, colourant, paraben. organicum Shampoo is 100 % vegan. organicum Shampoo does not contain Ammonium Lauryl Sulfat (ALS, CAS-Nr. 2235-54-3)! organicum Shampoo contains Ammonium Lauryl Ether Sulfat (ALES, CAS-Nr. 32612-48-9)! Ammonium Lauryl Ether Sulfat (ALES) is a mild surfactant, derived from coconut oil or coconut mark. ALS and ALES may look the same at the first glance, but they are not. Both surfactants have different characteristics . ALES, as used in organicum Shampoo is an organic surfactant, commonly known for its compatibleness, therefore it is suitable for persons with sensitive skin. However, like all surfactants, ALES still holds a remaining risk of allergic reactions. On the other hand, though, this risk can be reduced to a minimum when ALES is used in combination with other organic surfactants. 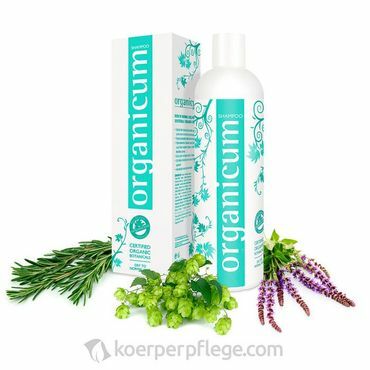 organicum Shampoo contains ALES in combination with recommended organic surfactans such as decyl glucoside, disodium cocoamphodiacetate und cocamidopropyl betaine. The hair will get more resistant to enviromental impact and less sensitive to irritations.